I’ve been to Peru twice on medical missions and I’ve found it to be a country that is ripe with photo opportunities. This photo was taken in the Colca canyon when I had gotten up early with my niece Abby to see the Andean condors. 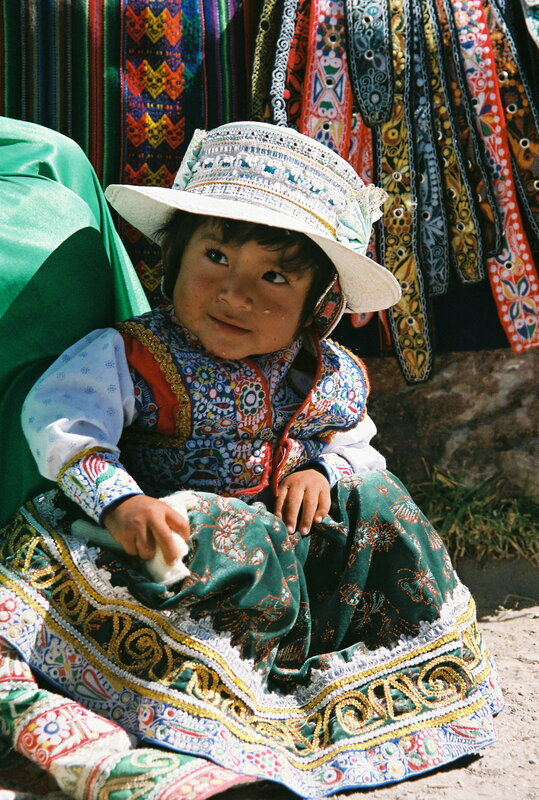 My condor photos did not turn out as well as this happen chance photo of a roadside vendor’s daughter. She was dressed to lure the the tourists but was also very cooperative with all the clicking cameras. 25 Mar	This entry was published on March 25, 2012 at 9:27 pm and is filed under Uncategorized. Bookmark the permalink. Follow any comments here with the RSS feed for this post. I love expression on the little girl’s face. It’s very unguarded. It looks like she’s waiting for something good to happen.